Only one photo tagged with Gowy. If you have one, why not upload it? 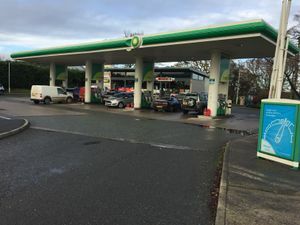 Gowy offers a petrol station at the side of the A51, forming the only signed service area between Chester and Stoke-on-Trent. The Gowy garage first opened in the 1950s.